Probably the most coveted place for that Instagram-worthy #wanderlust photo while you’re in the air. Children and adults alike can be found peering out of the window mid-flight with the same amount of enthusiasm and awe in their eyes. That being said, do you wonder what the name of that mountain you just flew past is, or which part of a country you are hovering over? Personally, I would have loved to know. Who knows, these places might just be the next locations I want to put into my next itinerary. Now, there’s an app that can answer these questions. 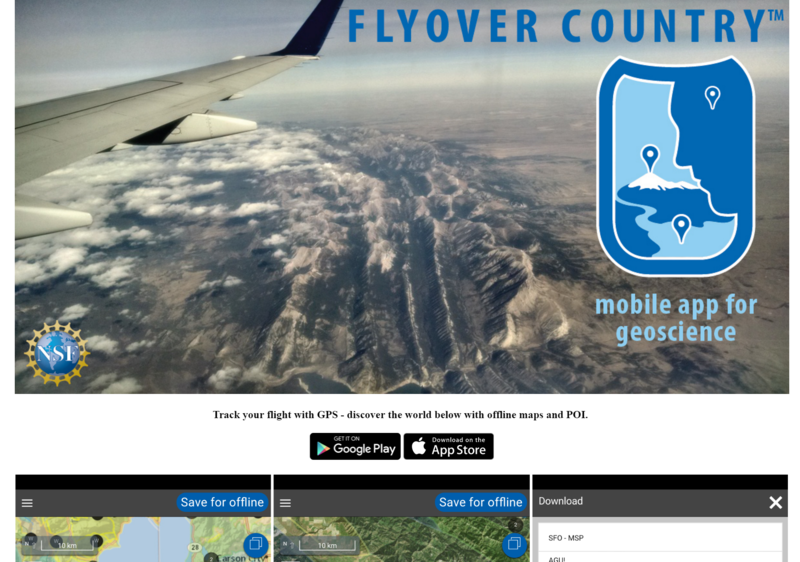 The app you can use the next time you fly is Flyover Country, created by scientist Shane Loeffler. All you need to do is toggle on the GPS option on your smartphone and stay in Airplane Mode for the full duration of the flight. No data is required, so there is no need for expensive airline WiFi plans. How the app works is that it makes use of maps and data from various geological databases to give users information of the passing landscape while using the phone’s GPS as a guide. The window seat component comes in because, due to the app being reliant on GPS, the window is the best place for your phone to lock in a signal. This is possible because the app developers recognised that geoscience data was becoming more easily accessible. The general user interface of the app revolves around a map which is tagged with features and waypoints that you are able to tap on to find out more. Detailed explanations of said tagged places are handled by cached Wikipedia articles, of which the app is mostly reliant on. This is why no transmission of data is required for the app to work – all the necessary information would have been downloaded after you install the app. 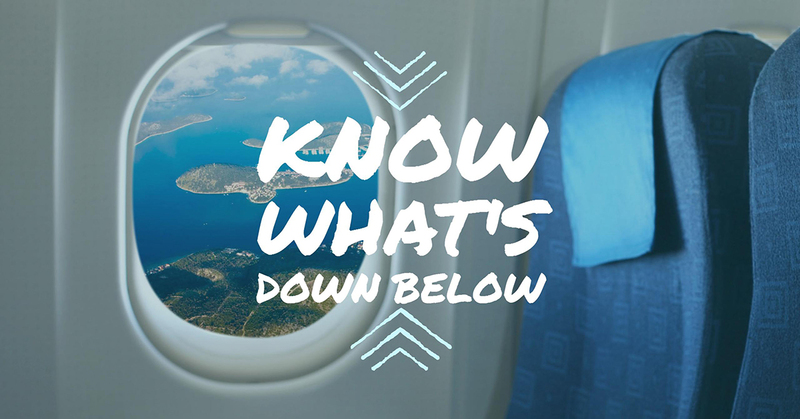 For more in-depth information, you can plot your flight before taking off and save the data for offline use. Then, when in the air, use your GPS to navigate the app. 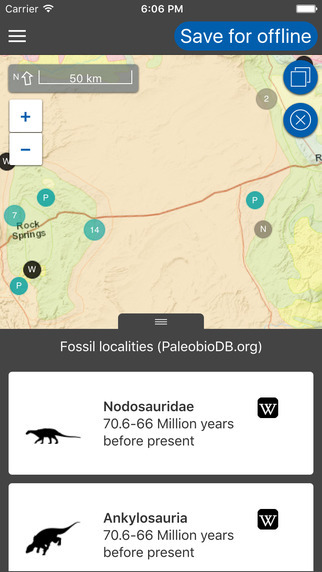 If you’re a Jurassic Park aficionado or just someone who loves dinosaurs, you’ll be ecstatic to find out that you can map out a palaeontology trail while flying as the app also leverages on paleontological databases. Flyover Country started out as a passion project for Shane Loeffler, a then Geology student from the University of Minnesota Duluth. He remembered a time when he was flying over Canada and saw the landscape below with all its odd glacial features and old rocks. Realising most people do not have direct access to the stories told by the landscape as seen from above, he got inspiration for the app. He then co-developed the app together with his mentor Dr. Amy Myrbo and two software professionals. 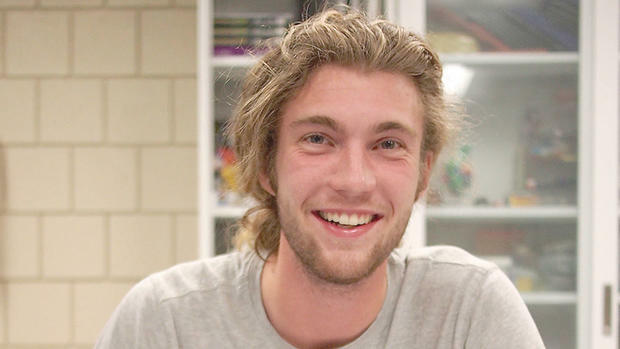 Shane told a local newspaper that he received funding for the app almost immediately through the National Science Foundation, and its development started last summer. He was happy to share that in March, he will be receiving funding for a further three more years. With it, he plans to further his studies so that he is able to better improve the information flow available in the app. This grant will fund his master’s education as well as that of a master’s student at the University of Wisconsin-Madison, who will be working on developing new visualisation techniques with him. He also recognises that the app is far from finished, thus, he will be developing ways to improve the visualisation of more complex geologic data to effectively make the app more user friendly. The app is ready for download from both the Play Store for Android and App Store for iOS. Try it out the next time you fly to your next vacation!